Chingensai, or bok choi is one of my favourite vegetables. I like how meaty and crunchy it is. 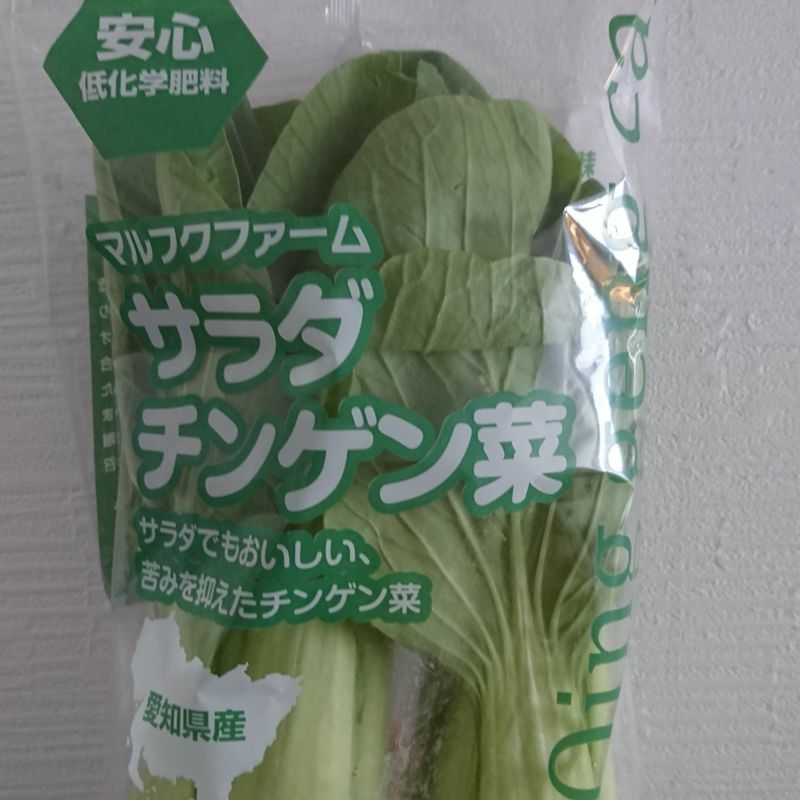 At the supermarket, I saw that they were selling "salad chingensai", so I picked one up to test out how different it is from normal chingensai. The package claimed that it is less bitter, so it is more suitable for raw consumption. I gave it a taste right out of the bag and sure enough, it did feel less bitter! However, it was also less sweet, so I guess the flavour overall the lessen. The crunchiness was top notch though, perfect for salad. One more thing I realized was that these chingensai had much less dirt than the usual, making the washing process much easier! Now THAT is a very good reason to keep me buying the salad chingensai!